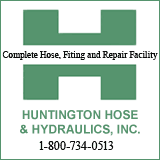 HUNTINGTON – Mayor Steve Williams will return to Marshall University’s campus this week in an ongoing effort to improve communication between the City of Huntington and students, faculty, staff and administrators. Williams will conduct the spring semester’s second installment of “Coffee with the Mayor” from 11:30 a.m. to 1 p.m. Thursday, March 6, in the Memorial Student Center lobby. The sessions are sponsored by the Student Government Association and allow people to discuss issues with the mayor in an informal setting. In addition to listening to concerns and answering questions, Williams said he has three main objectives with the sessions: Let students know that they are valued citizens in the city; show them that staying in Huntington after graduation is a viable option; and, if they have to leave upon graduation, help them develop a love for Huntington so strong that they can’t wait to return. 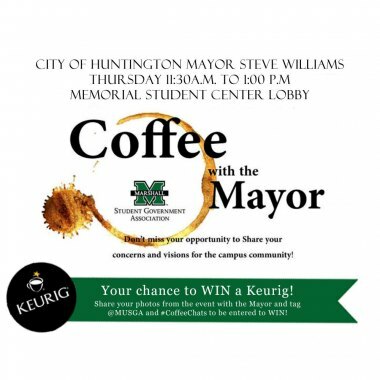 The Student Government Association is offering students a chance to win a Keurig coffee maker duringthe event. Anyone who puts a photo of the event on Twitter and mentions @MUSGA with the hashtag #CoffeeChats in their tweet will be entered to win. For more information, call Jordan Wooldridge, SGA chief of staff, at 304-696-2289.